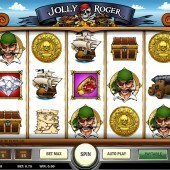 I tried out Jolly Roger from online and mobile slot developer Play 'n Go on a mobile phone recently, and by playing it you can tell why the developer decided to adapt the original online version to work on smartphones and tablets: the game is basic, fun, and its cartoony graphics pretty no-nonsense. So it's no wonder the online version looks and feels like a mobile game. Slots developers always come back to the pirate theme - whether it's Ash Gaming's similarly simplistic Chests of Plenty or NetEnt's amazing Pirates of the Caribbean rip-off, Ghost Pirates. 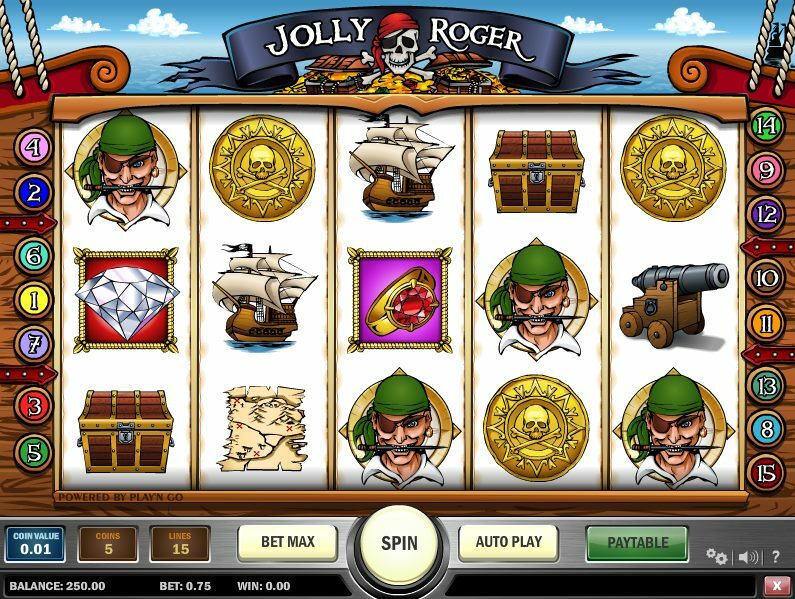 Yep, when it comes to themes for online slots, developers come back time and again to the tried-and-tested Pirate theme. The game is a 5 reel, 15 pay-line mobile slot with two bonus rounds and the potential for some nice jackpots. Betting starts at $0.01 and maximum bets stand at $75. On the reels are a Treasure Chest, a Parrot (here acting as a Scatter which pays in any spot on the reels), a big Jewel, a Ruby-Encrusted Ring, a Gold Doubloon, a Pirate, a Ship, a Cannon and a Pair of Cutlasses. The Jolly Roger icon is Wild and substitutes for every regular symbol other than the Scatters and Bonus symbols. Get three or more treasure chest Scatter icons anywhere on the reels and you’ll trigger the main bonus feature – a simple Pick ‘em Bonus round where you get to choose from a selection of treasure chests. Three Treasure Map Icons from left to right, meanwhile, will trigger another Pick ’em bonus round in the game where you get to choose from 10 possible treasure sites on the map. Pick three from 10 to see how much you’ve won. Although the bonus features in the game are pretty uninspiring, at best, it’s the potential jackpots that make Jolly Roger worth hunting out. Certainly bigger bettors will warm to the higher coin bets on offer, and the 10,000x line bet jackpot is definitely the game's biggest draw. Yo ho ho and a bottle of..., well you get the idea.